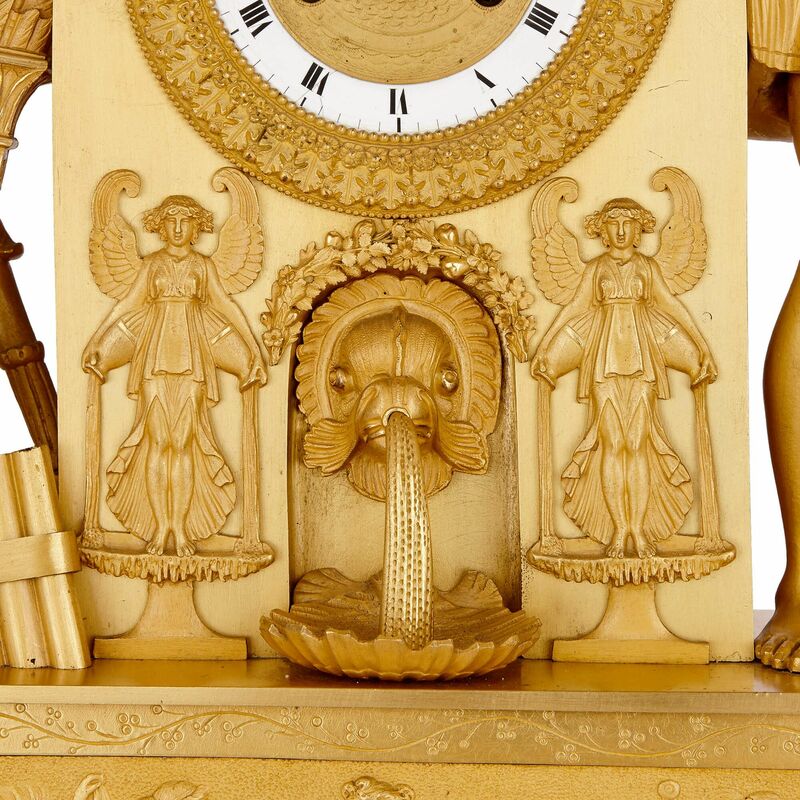 This antique ormolu clock dates from the beginning of the 19th Century, when it would have been made to adorn a grand, Neoclassical style luxury interior. 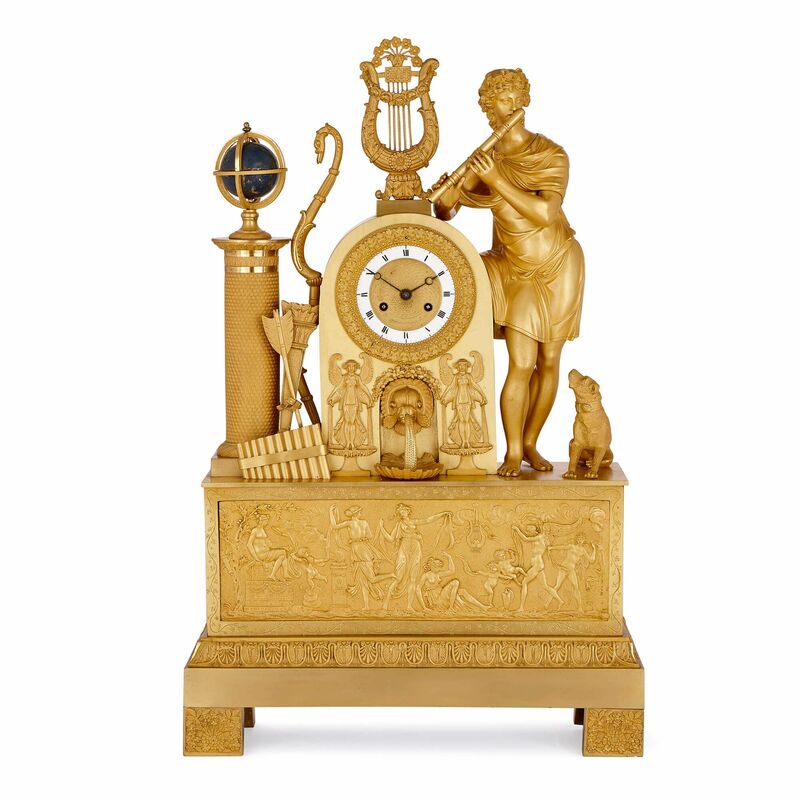 This piece dates from a period in European history when decorative clockmaking had reached a kind of zenith: the Napoleonic Empire of the first decade of the 19th Century. Clocks from this period are consistently regarded as some of the most splendid and elaborate, as well as the most innovative in design. 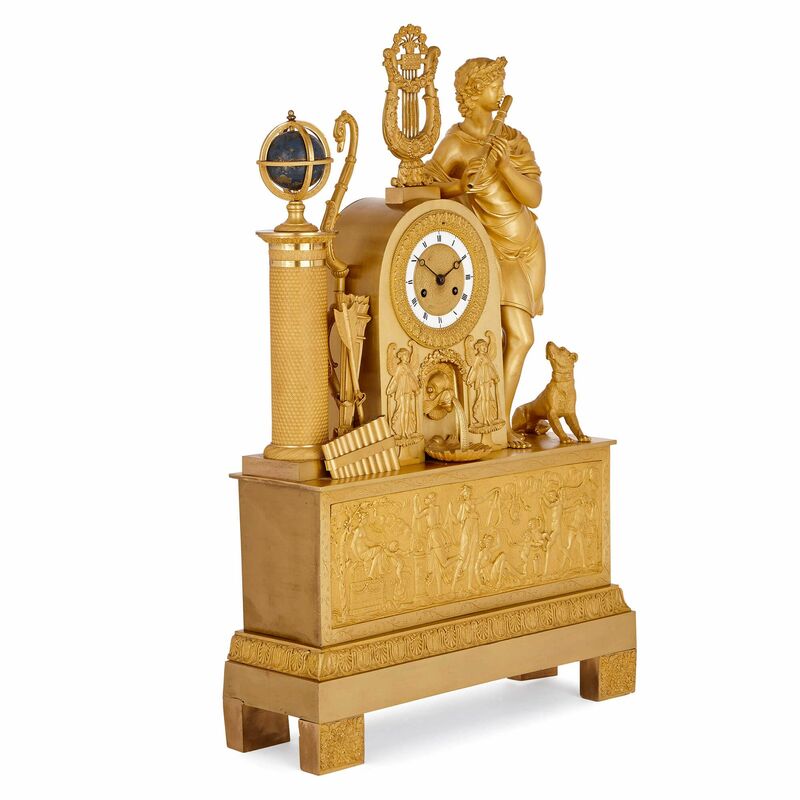 Taking the forms and motifs of the popular Neoclassical style, Empire period clockmakers employed sculptural techniques to produce grand, imposing pieces. 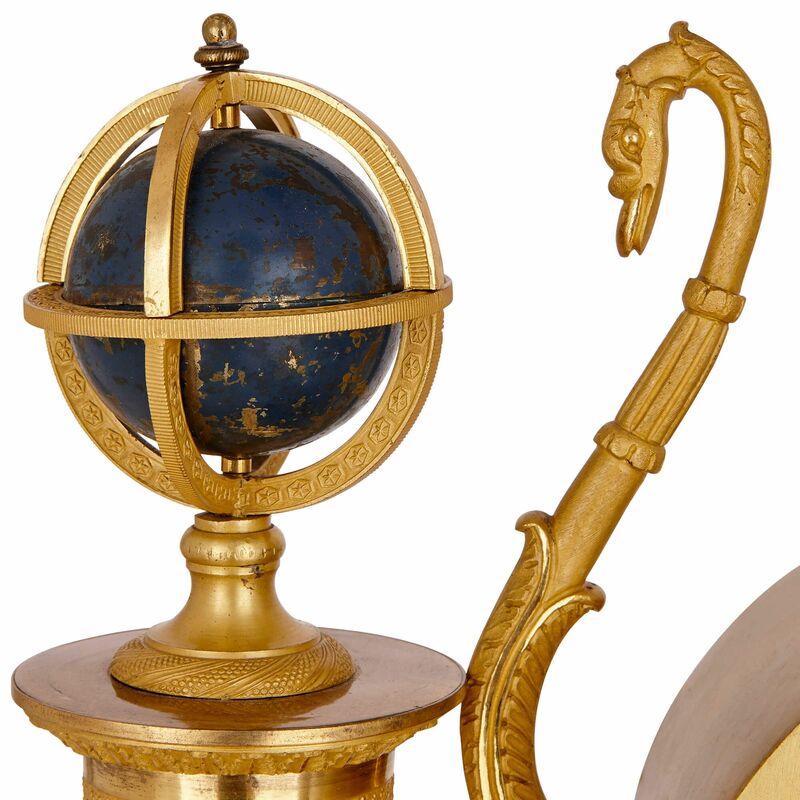 French Empire mantel clocks were also often modelled completely in ormolu, or gilt bronze, as in the present piece. Here, the clock takes a typical Empire period form: it is modelled as a full length male Classical figure in draped robes standing on a rectangular plinth, leaning on the curved clock pediment. 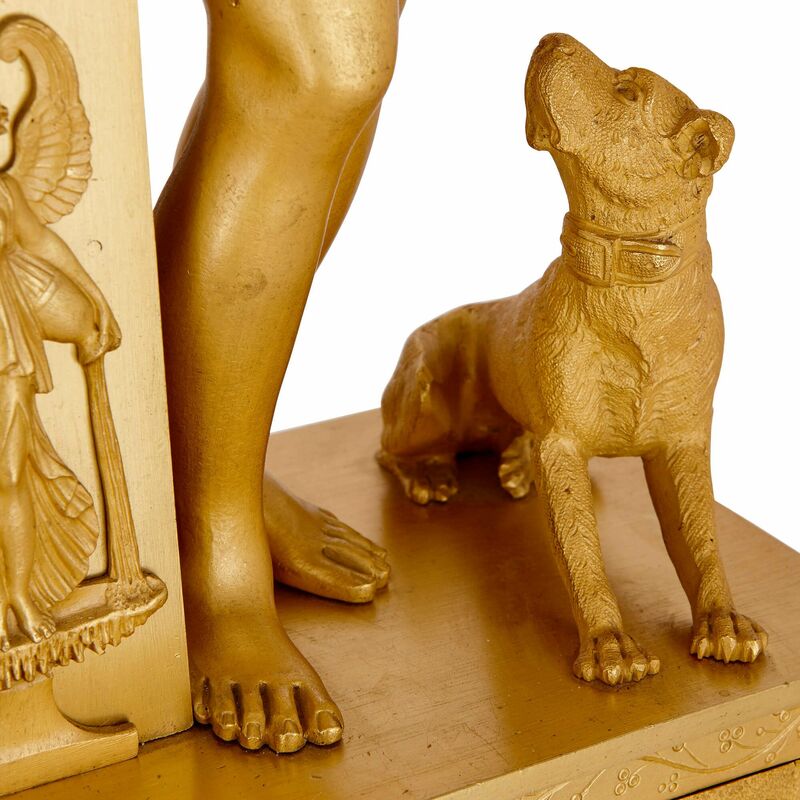 The figure is depicted playing the flute and has various instruments around him, including pan-pipes, a swan-form bow with a quiver of arrows, a globe on a pedestal, and there is a dog shown at his feet. The clock pediment contains a number of intricate details, including a fountain emerging from a dolphin's head, with twin winged figures at either side, below the circular clock dial. 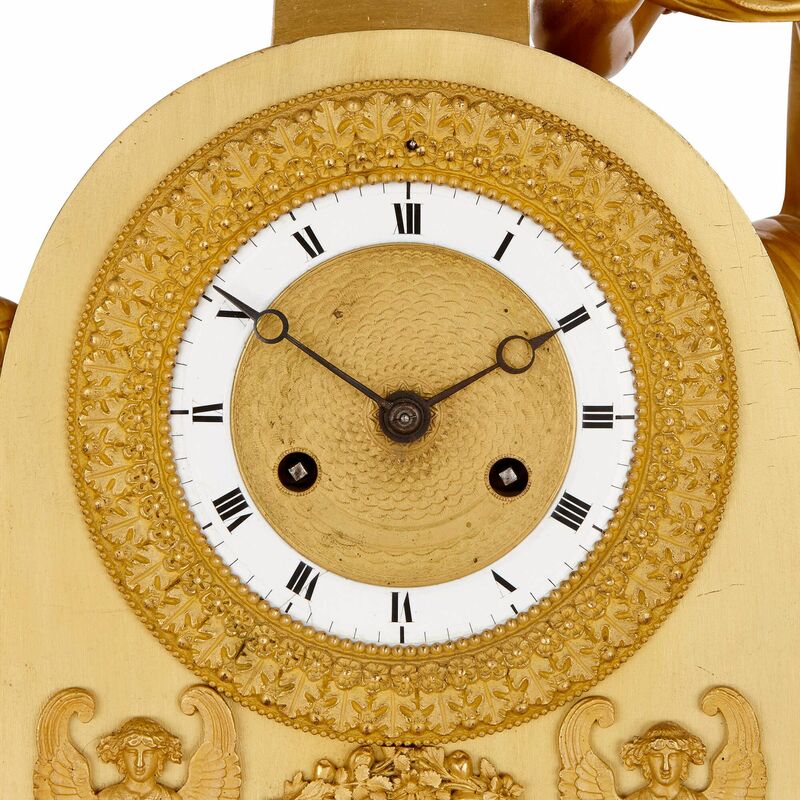 The clock dial is set with Roman numerals, and the case is surmouned by a lyre. 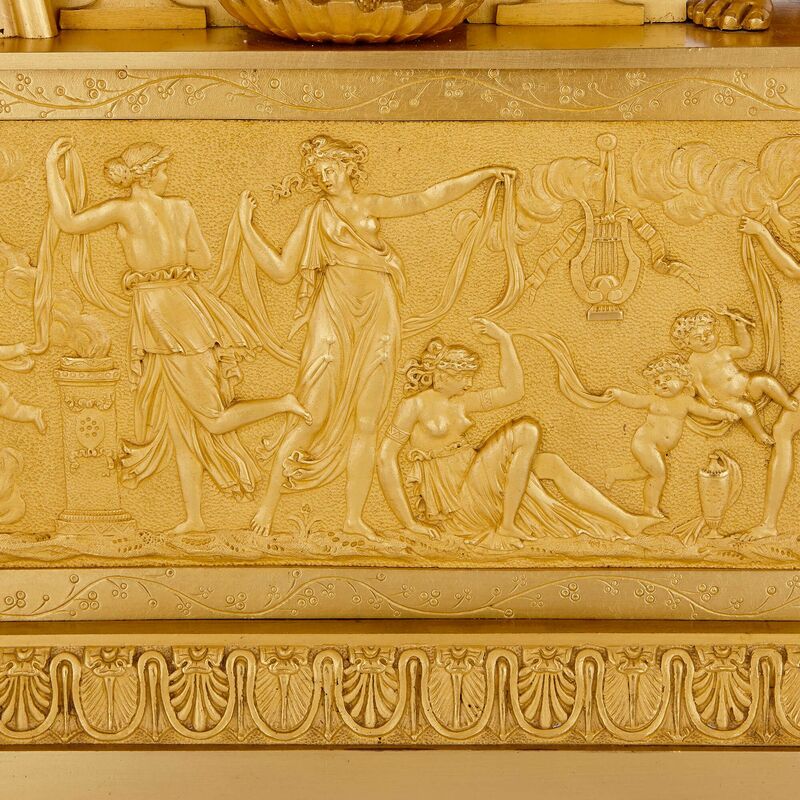 The plinth also contains an exceptionally-detailed Classical relief scene on its front, showing figures dancing and revelling. 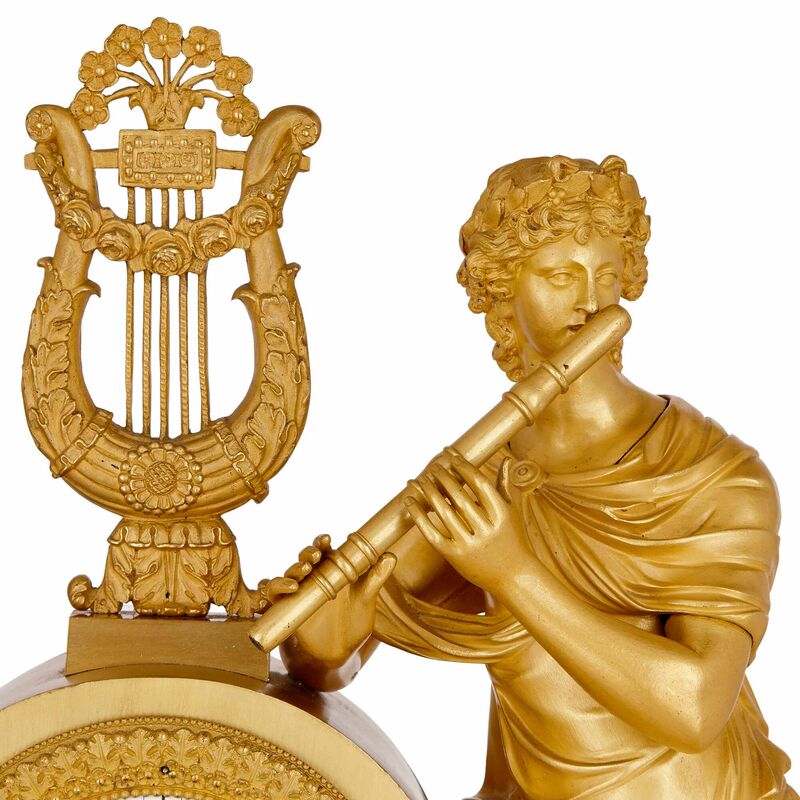 This is a wonderful music-themed clock made with fine materials and exquisite craftsmanship.